Running is one of the best exercises you can do. It’s good for your mind, making mental tasks easier, improving memory, and growing your brain cells. It’s good for your body, strengthening your bones, decreasing your risk of heart attack, and potentially increasing your lifespan. And it’s even good for the soul: running can treat depression, increase self-esteem, and help you cope with stress. The best part about running is that we’re all ready-made to do it. You don’t need a gym membership, weights, or any special equipment. If you’re in Chapel Hill, all you have to do is get yourself to one of these great nearby trails or paths, and start pumping those legs! The Al Buehler Cross Country Trail is a hilly trail with picture perfect views. It’s well-populated and very safe, with emergency phones, water fountains, and plenty of joggers, families, and dogs running around when the weather is nice. The route goes through a golf course, with a main loop of 2.91 miles, which is perfect if you’re training for a 5K (3.1 miles). The gravel paths are well maintained, and you can access the trail from several different points of entry. It even gets four and a half stars on Yelp! The Duke Forest (owned by the university) is over 7,000 acres of wilderness, so there’s plenty of room to roam. It’s open to the public during the day, as long as research isn’t being conducted. While a general map is available on the website, we recommend spending the $8 for the detailed map, which shows the many roads and trails you can take. Try out this 4-mile run while you’re waiting for your map to arrive! If you’re a dog owner, you’re probably already familiar with Homestead Park – it’s the only off-leash dog park in Chapel Hill. And while the athletic fields, playground, batting cages, and aquatic center may get a lot of the attention, there are plenty of great places to jog around this busy, lighted park. Serious runners especially will appreciate the smooth, paved trails. These trails connect the Community Center Park, Battle Park, and the UNC campus. The Battle Branch Trail is unpaved, and will lead you to Battle Park, where there are several running or walking trails to choose from. The Rainy Day Trail and Solitary Hill are particularly hilly and rigorous, while the Pedestrian Trail is perfect for families and newbies. If you’re looking for something tamer than the Battle Branch Trail, the Bolin Creek Trail is ten feet wide (plenty of room for everyone!) and paved, but is still very scenic. UNC owns the Carolina North Forest, which has something for everyone. There are over fifteen trails to choose from, so you can run for a half mile, over six miles, or any length in between! One of the most popular trails is the Pumpkin Loop, where the annual Pumpkin Run 4K is held. If you’re feeling ambitious, sign up for the 8th Annual Philosopher’s Way Trail Runs, which will take place on May 2nd, 2015. You can sign up for a 7K or a 15K! If you’re interested in a city run, you can’t do better than the Tar Heel 10 Miler. While you could sign up for the actual race (this year’s race is sold out, but there’s always next year! ), you can just download the course map and run it whenever you like! Jog from the Bell Tower at Kenan Stadium through gorgeous residential neighborhoods, past the Morehead Planetarium and the Ackland Art Museum, and around the edge of Battle Park. Get some practice in, and you’ll be ready for the real thing! Running provides many benefits for the mind, body, and soul, but you need to ease into your training slowly. 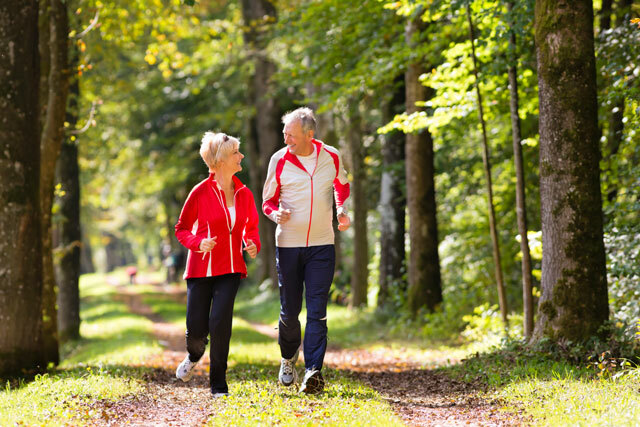 Start small by walking or jogging a little each day, and gradually increase your distance or speed. If you dive right into a training program that’s too intense for you, you could get shin splints or other injuries. Luckily, if you are ill or injured, FastMed Urgent Care is conveniently located on East Franklin Street. We’re open every day of the week, so come by any time!